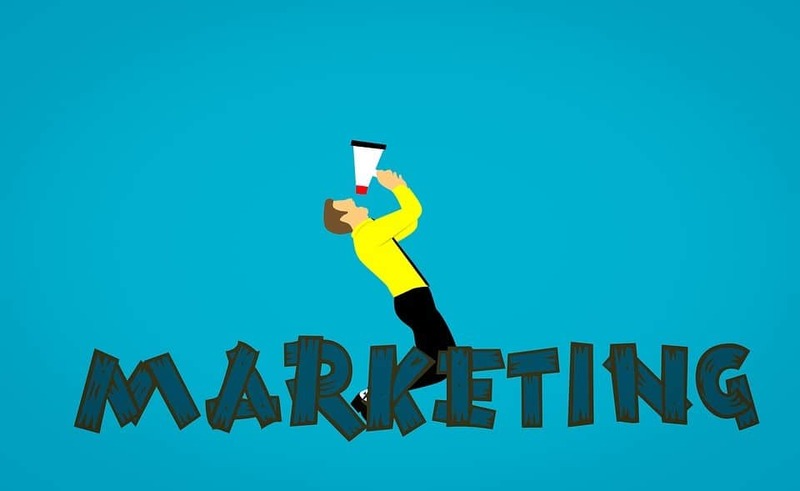 10 Oct 7 Things that Marketing Beginners Need to Know, NOW! Marketing is a huge topic that can seem overwhelming when you first get started. If you’ve recently started your own business, or you are planning to spearhead the marketing strategy for your employer, you may be wondering where on Earth to start. While there are literally 100s of things you need to understand for your marketing strategy to be truly successful, here are seven of the essentials that you should know before diving into the marketing world. You have to start somewhere! First of all, you should start by creating a buyer persona (or personas). This is important to do right at the start because it will guide all of your marketing activities, no matter whether you focus on online or traditional marketing. A buyer persona is an incredibly detailed description of your target customer. It goes way beyond the basic details like age and gender, and should instead focus on what your target customer wants, what they worry about, the problems they have that you can solve, and the questions they need answered. Using software like Hubspot’s Make My Persona Tool can remove a lot of the heavy lifting involved in creating your buyer personas. Any major software provider you opt for will you let you give your persona a name, and create a number of personas for different types of customers. Once you have your personas, you can use them to guide your marketing efforts. Then, whether you start an advertising campaign or a content strategy, you will know exactly who you are targeting. One of the things that many beginner marketers forget to do is set up an email list and start growing it. You might assume that this is something that can wait. Perhaps you want to focus on driving traffic to your site before you start converting that traffic into sign-ups. But this would be a mistake. Even in this day and age of social media marketing, where new marketing tactics and technologies appear almost every week, email is still one of the most powerful marketing strategies. Email is often the best way to communicate with people who are interested in your products or services. You own your list, and it does not depend on a specific platform. The important thing is that you need to make the most of the email markwting list you have at your disposal. Some website builders come with their own inbuilt email marketing software. If your CMS doesn’t offer this there are a number of providers you can select from. Moosend is a beginner-friendly tool I’ve used. However, it’s essential that you do your research and find the software that’s best for you and your business. Don’t delay – set up your list from day one and start building it over the coming weeks and months. This is something that you simply have to get into your head when you start any kind of marketing. As a wise man once said, “Your customers don’t care about you”. They don’t care about your company, what you do, your products or your services. They only care about what you can do for them. About how you can improve their lives. They have a problem that they want to fix, and they care about how you can do this. Keep this in mind in everything you do, from your social posts to your ads and blogs. Otherwise you might start focusing too much on you and your business rather than how you help, which is a sure-fire way to fail. There are many marketing techniques that you can focus on. Even if you are only focusing on online marketing, you have SEO, PPC, social media, native advertising, remarketing … and many more. You may want to try them all. But to start with, you would do well to set up an inbound marketing strategy. This is because inbound is a long-term strategy that incorporates a range of techniques including content marketing, social marketing, email marketing and SEO. Using an inbound marketing tool helps you make the most of these techniques. I mentioned Hubspot before, but you may want to look at a platform like Marketo. Inbound is highly effective when done properly, and it’s a strategy that is becoming more important. While an advertising campaign starts and stops, inbound is ongoing. When you have a good inbound strategy up and running, you can also experiment with other techniques and use these in addition to your inbound marketing. So find out everything you can about inbound marketing and set up your strategy as soon as possible. Another thing you need to know that will help you greatly is that online marketing does not stay still. New techniques come along all the time, and established techniques are constantly changing. The content that people read, SEO strategies, AdWords techniques – they have all undergone dramatic changes in recent years. And this will continue. That means you should be careful about whose advice you take. Applying outdated techniques can be a waste of time or disastrous. Keep up with the latest news and techniques around your chosen strategies, follow the right blogs and don’t put all your eggs in one basket. Online marketing is popular because it is effective and affordable. You can often run your own marketing campaigns yourself, doing tasks like content writing, social media updates, promoting your content and building links. But don’t be afraid to outsource because it has many benefits. You will get to a point where you cannot do everything yourself, and sometimes you have to spend money to make money. Just make sure you hire the right people to help. Get specialists on board who you trust so you can free up your time to work on other tasks and grow your marketing campaigns and your business. These days, success in marketing involves testing everything. Test what you are doing, find out what is working and then optimise your strategy. This is true of any online marketing technique. Always keep a close eye on your analytics. Whether for email marketing, PPC advertising or SEO, find out what you can do better and keep changing and adapting. If you are struggling to start with your marketing and it all seems like too much information, keep these seven things in mind. Marketing is a huge topic, and there is a lot to learn, but you will learn a lot more once you get started. For now, understand these seven points and let them guide you as you get your marketing strategy up and running. Kayleigh Alexandra is a content writer for Micro Startups — a site that shouts loud and proud about all types of marketing (from direct to social media). Visit the blog for tips, tricks, and sound advice to apply to your business. Follow us on Twitter @getmicrostarted.